The National Institutes of Health has awarded assistant professor Dr. Shadab A. Siddiqi of the College of Medicine’s Burnett School of Biomedical Sciences a grant for $1.27 million to continue his research into how the liver produces and secretes lipoproteins in the blood – a major risk factor for the development of hardening of the arteries. Dr. Siddiqi’s work centers on how to prevent heart disease by regulating the secretion of very low density lipoproteins (VLDL) by the liver. These lipoproteins are known to increase cholesterol levels, a risk factor for plaque buildup in the arteries. His major contribution to the field is his discovery of how newly-formed VLDLs are transported into the bloodstream. Dr. Siddiqi hopes to use this knowledge to find ways to control VLDL secretion from the liver. By identifying the regulatory factors that control VLDL flow from the liver into the bloodstream, Dr. Siddiqi believes researchers can create therapies to reduce the development of atherosclerosis, or plaque buildup. Such buildup causes heart disease, a major threat to public health and the leading cause of death in the United States. The highly competitive grant will fund four years of research and it is a renewal of a previous NIH R01 grant totaling $1.44 million. UCF Vice President for Medical Affairs and College of Medicine Dean Dr. Deborah German said the award is a testament to the importance of and quality of Dr. Siddiqi’s work. 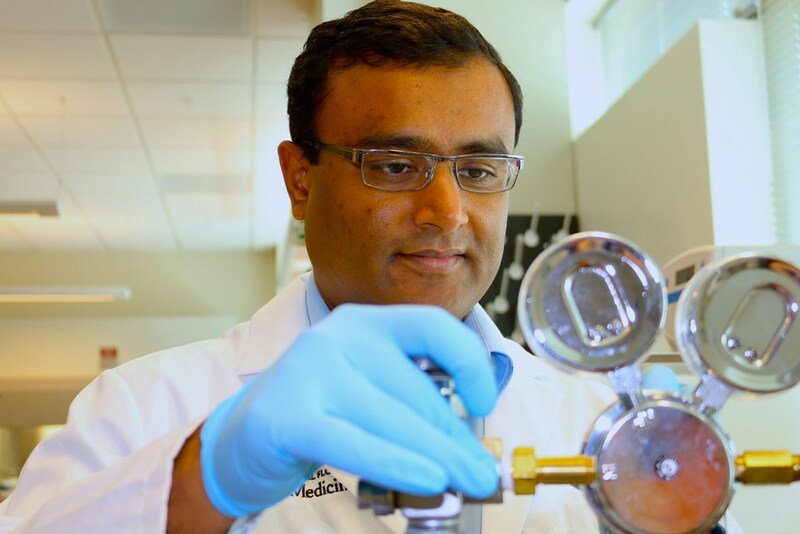 “I am ecstatic about this award because it will not only enable my laboratory to identify proteins that control VLDL secretion from the liver, it may lead to new therapeutic targets for the prevention and treatment of atherosclerosis and other cardiovascular diseases” said Dr. Siddiqi.